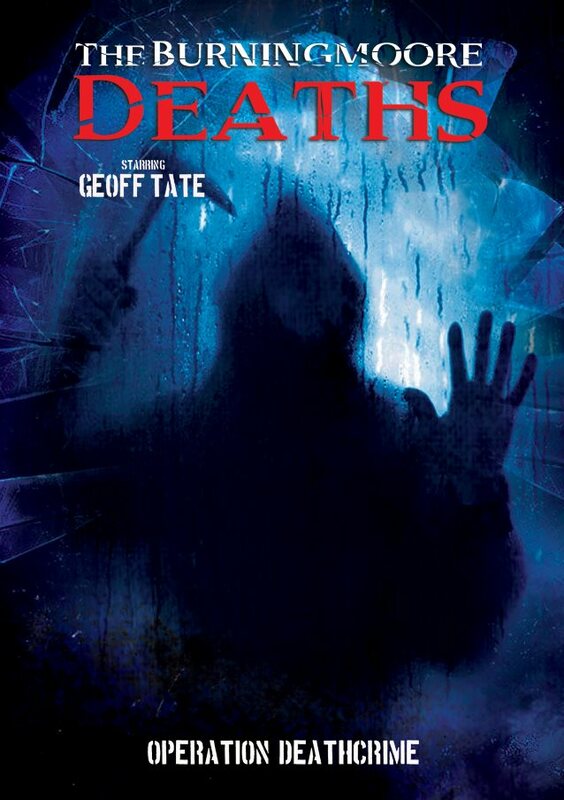 For Geoff Tate, today’s DVD and digital format release of his 2013 film debut, The Burningmoore Deaths, brought back some chills — and not just the ones from the macabre film plot. Directed by Jonathan Williams, whom Tate had worked with on music videos prior to the film, The Burningmoore Deaths stars the rocker as James Parrish, a man who disappeared without a trace after he allegedly killed his wife and three children, only to resurface when a home improvement company chooses the family’s abandoned house to remodel for a TV show pilot. Of course, much has happened to Tate in the musical world since he filmed The Burningmoore Deaths. He was fired from Queensryche in 2012, which led to a contentious battle for ownership of the group’s name; he adopted the Operation: Mindcrime moniker, from Queensryche’s celebrated concept album, in 2014 and has so far released two albums in a planned trilogy, with the third on the way. “It’s pretty much done. It just needs to be mixed and mastered,” reports Tate. “It’s very prog, more in the line of my early rock influences like Pink Floyd and Genesis and Yes, Rush, pretty complex music, that kind of thing.” Tate is again joined by an all-star cast that includes such players as former Queensryche guitarist Kelly Gray, Disturbed bassist John Moyer and Megadeth bassist David Ellefson. Tate is also on the road now with an acoustic show he calls The Whole Story, playing material from Queensryche, his Operation: Mindcrime band and his solo albums. There’s a good deal of storytelling involved as well, and no, he’s not spending much time slamming his former bandmates during the concert. The Burningmoore Deaths is available on DVD at retail stores, the MVD Shop and on Amazon.com.